With True Welsh character that has exceptional temperament, movement and quality bone and feather. 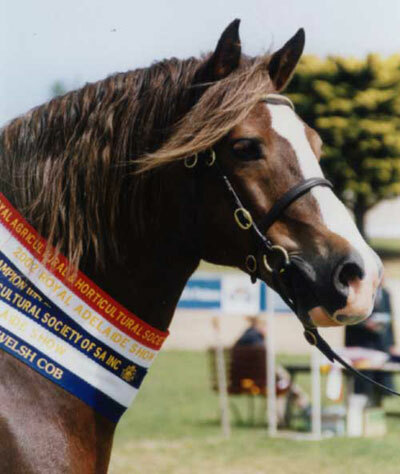 Seawynd are a small stud breeding show quality Welsh Cobs and the occasional Welsh Pony of Cob Type, that are true to type. We aim to breed cobs that are suitable for any discipline, with the trainable temperament you need to succeed! Seawynd's All our stock have been selected for there temperament and type. Our youngstock are all halter broken, they lead, tie up and are quiet to handle. They are stabled during weaning and fed through the winter months, to ensure strong healthy growth and development. 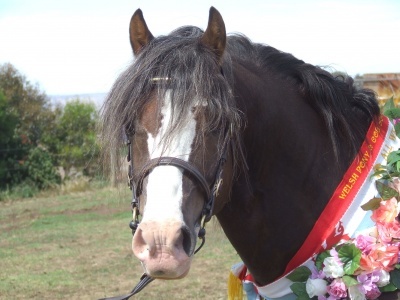 Derwen Dakota (imp) Welsh Cob Stallion. Best Welsh Exhibit SA All Welsh show 2002. Pen-nant Gametime Welsh Pony of Cob Type. Best Welsh Exhibit SA All Welsh show 2008. We are located on the Fleurieu Peninsula 15 minutes out of Victor Harbor South Australia. Victor Harbor is a major tourist desination, Victor Harbor has the only Horse Drawn Tram, that can take you over to Granite Island to visit the Fairy Penguins. Or just relax by the seaside. There is plenty of Accomadation and Restraunts if you decide to stay. Visitors are welcome to see our Cobs. Appointment please. If you wish to contact us go to the Contacts on the menu at the top of the page. We hope you enjoyed our website, please visit again!